Wine Enthusiast names Pago one of America's Best 100 Wine Restaurants in 2018. Pago selected as Salt Lake Magazine READER'S CHOICE for Best Restaurant in Utah 2018. 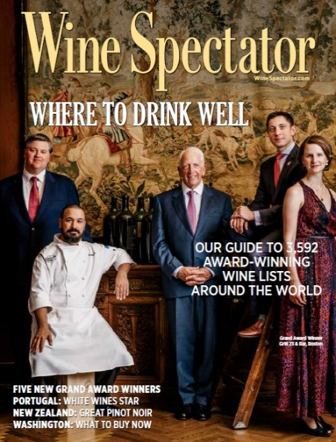 Pago awarded a 2017 Wine Spectator Restaurant Award, recognizing the top restaurants around the world for wine. Pago named one of the Top 10 Dining Influencers in Utah by Salt Lake Magazine. Pago named as one of the Best of Salt Lake City by Trip Expert. Pago selected as one of The Culture Trip's Salt Lake City's Local Favorite 2015 Award! Pago rated as one of the top restaurants in Salt Lake City on Yelp. Pago named as one of 25 Best Restaurants in Utah 2015 by Salt Lake Magazine. MSN features Pago as Best Restaurant in Utah, part of Best Restaurants in Every State, February 2015. Pago mentioned in Martha Stewart's Weddings, Adam and Ally's Vietnamese Tea Ceremony and Backyard Wedding in Utah, February 2015. Pago named one of “100 Best Restaurants in America” by Wine Enthusiast Magazine 2012. Pago named “Best Restaurant” in 2014 by Salt Lake Magazine. Pago mentioned as a great dining option in Salt Lake City, November 14, 2013 in The Washington Post. Pago listed as one of the top things to do if you only have 36 hours in Salt Lake City, June 3, 2010 in The New York Times. Pago named as one of 10 Diner’s Choice Winners in the categories of “Best Contemporary American Food SLC & UT,” “Fit for Foodies SLC & UT,” “Hot Spot,” “Neighborhood Gem SLC & UT,” “Notable Wine List SLC” and “Most Booked SLC” by OpenTable. Pago reviewed by Ted Scheffler of Salt Lake City Weekly, February 11, 2013, who says "after 4 years, better than ever." Pago reviewed and rated 3.5 stars (out of 4) in 2009 by the Salt Lake Tribune. Pago selected for 2014 TripAdvisor Certificate of Excellence. Pago awarded "Green Fork Award" for sustainable business in 2012 by Salt Lake Magazine. Pago awarded "Best Lunch" and "Best Wine List" in 2010 by Salt Lake Magazine. 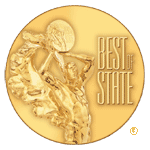 Pago named as one of the Best of State restaurants in Utah in 2010 and 2011 by Best of State - Utah. Pago listed as one of the "Top 10 restaurants and diners in Salt Lake City, UT" in The Guardian newspaper, July 19, 2013. Pago mentioned as one of "10 best foodie spots in Salt Lake City" by USA Today, March 10, 2014. Wine Enthusiast Magazine article titled "America's 5 New Foodie Cities" mentions Pago in the description of Salt Lake City, August 2014. Article titled "Pago: Sustainability, In-field Dining & the Future of Farming for Restaurants" discussing Pago's farm-to-table focus, August 29, 2011 in SLUG Magazine.